It is a common misconception that sunglasses mean UV (ultraviolet) block. The truth is that many sunglasses on the market are not fitted with lenses that completely block UV. 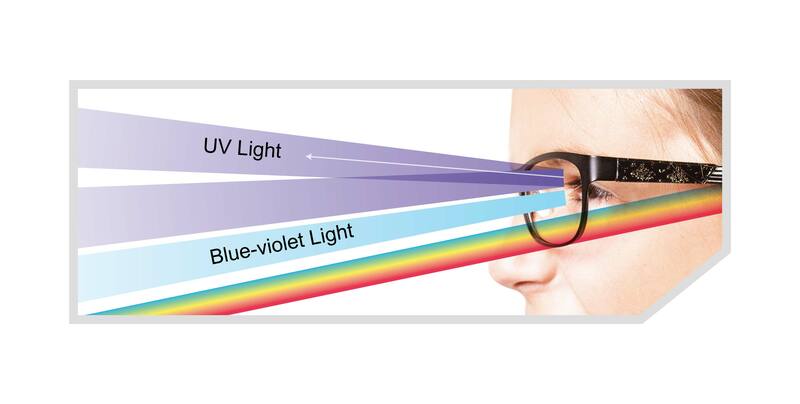 Despite what many are led to believe, the lens color is not a factor in UV protection. Swisscoat Armour UV protective lenses feature double-sided UVA and UVB protection, delivering all round protection for your children’s eyes. 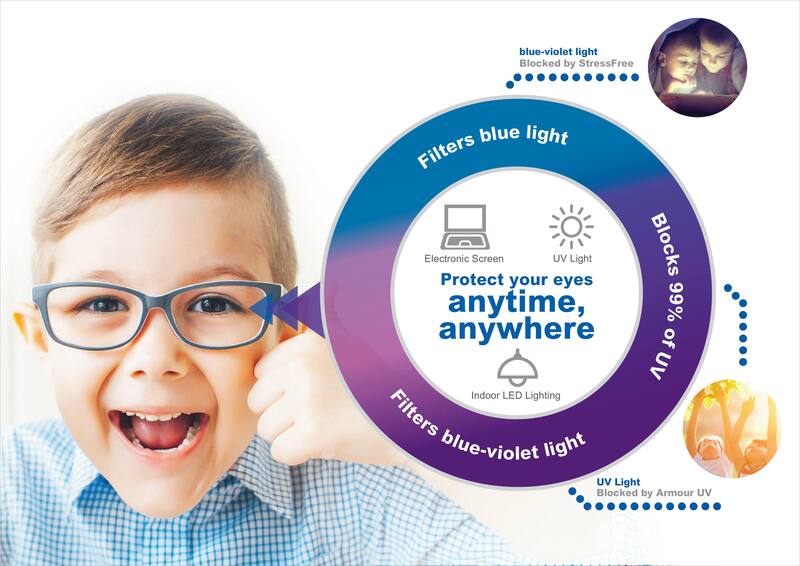 Armour UV’s UV and blue-violet light block is combined with StressFree’s blue light block for all round protection against high energy light, safeguarding children’s delicate eyes. Each Kids Pro-tech lens is applied with Clearview HD coating, effectively minimizing reflection from the inside of the lens, and enhances the effect of StressFree coating. Myopia Control lens design enables the creation of lenses with a deceasing prescription power that eases the strain on the eyes and curbs myopia progression2. These lenses are most suited for children aged 8 and above. All Swisscoat Kids Pro-tech lenses are coated with IMPACT Free Nano-thin Anti-impact Coating, which could reduce damage caused by impact while retaining image clarity. The coating is only 560 nanometer (nm) thick, effectively adding nothing to the lens weight and keeping the lens feather-light. It also enhances the adhesiveness of other coatings on the lens, strengthening the endurance of the lenses. Reported by The Hong Kong Polytechnic University in the January 3rd 2017 publication from PLoS ONE. 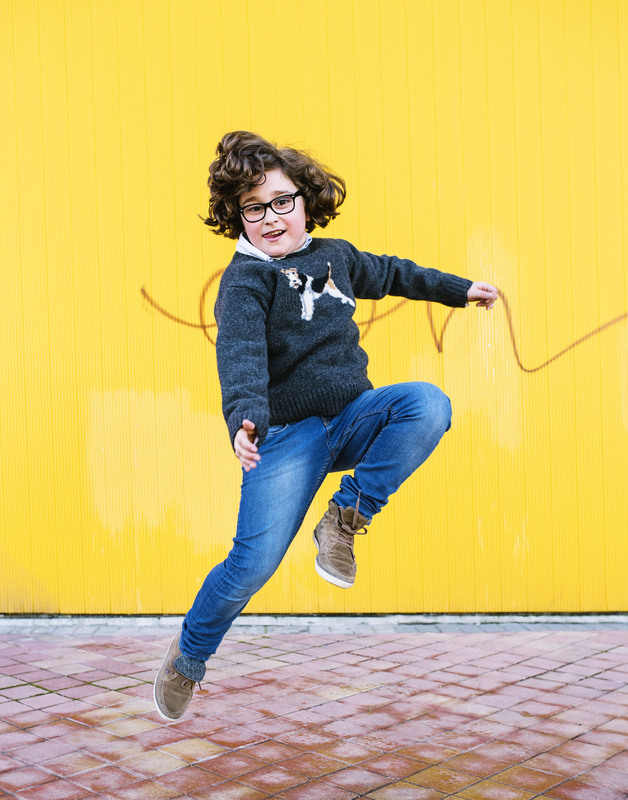 Swisscoat Kids Pro-tech, the children myopia control protective lenses are the innovation that not only controls myopia progression in your child, but also protect their maturing eyes from UV, blue light, and impact resistant protective properties. Each Kids Pro-tech lens is infused with 5 major Swisscoat technologies. Each Kids Pro-tech lens is crafted with precision and finished with multiple layers of protective coating, effectively controlling myopia progression and protecting your child’s eyes. Swisscoat’s StressFree coating features effective protection against high energy blue light. In a commissioned research done by The Hong Kong Polytechnic University1, it is proven that Swisscoat’s StressFree coating offers the following benefits. © 2019 Swiss Lens Laboratory (HK) Ltd. All Rights Reserved.